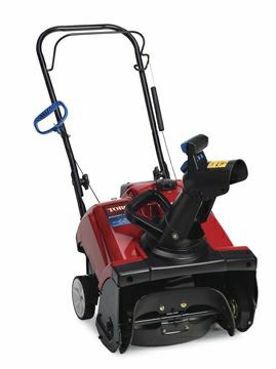 Toro's electric snow blower/thrower is designed to remove snow from small areas such as porches, patios, steps, and walkways. The Toro Power Curve® is a standard single-stage snow thrower and is a perfect solution for most paved driveways and sidewalks. This snow blower is available in recoil or electric start. This single-stage Toro blower is great for most paved driveways and sidewalks and is offered in recoil or electric start. Quick Shoot® designs are available on specific Toro snow blower models. These two-stage snow blowers are heavy duty and come with an electric start. Some models have quick chute control, free wheel power steering, one -hand interlock and forward and reverse speeds. These snow blowers are great for a large driveway or gravel driveway. Check out Toro's new Snowmaster™ - it features Personal Pace® Self-Propel, enhanced throwing distance and super easy to maneuver! Honda single-stage snow throwers are all new! These compact space-saving machines move a lot of snow are are smooth to maneuver. Featuring a 20" clearing width, auger assist drives and the Snow Director™ Chute Control which easily allows control of the distance and direction for Honda snow throwers. Deep snow has met its match! 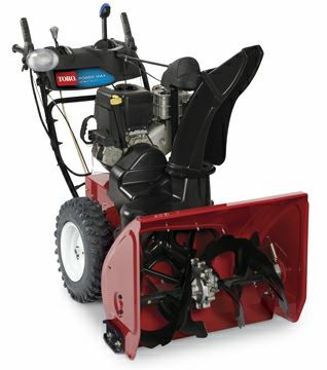 If there's a blizzard in the forecast and you have a Toro 2-Stage snow thrower in your garage you have no worries! Choose a 2-stage snow thrower from 24" to 28" clearing widths, all have electric start and have 6 forward speeds and 2 reverse. Other features include adjustable scraper bars, hand warmers, anti-clogging system with large augers, adjustable side skids, deep lug tires and a 3-year Limited Warranty. Put your mind at ease with one of these! Do-Cut Sales & Service can be your one stop shop for snow blower parts. We have snow blower parts for Toro, Honda, Husqvarna, MTD, Yard Machine and other brands. Call us with your snow blower brand, model and serial number and we will send out the parts you need.